It can be difficult to find a reliable commercial carpet cleaner that you can trust. Janitorial services claim that they can keep up with your carpets, rugs, upholstery, and furniture, but they aren’t fully trained or experienced with cleaning carpets. And a dedicated commercial carpet cleaning business will charge you an arm and leg because you’re a business owner. If you’re looking for affordable and reliable commercial carpet cleaning, Carpet Cleaning North Bay is here for you. When you call us you’re getting the same great service we offer our residential clients. 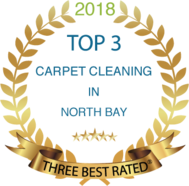 We offer the highest quality carpet cleaning at the most affordable rates possible. If you think your commercial building deserves the best carpet cleaning service, then you call us today. Whether your commercial or office space is suffering from stains or odors, we are here for you. We can handle any surface, any stain, anytime. And if you need to discuss after hours service for your commercial carpet cleaning, we can offer that, too. Commercial buildings and office spaces are prone to heavy foot traffic. This can not only look bad to customers and clients, but it may gross out your employees as well. Take pride in your commercial space with the best quality local carpet cleaning. Mud, ground-in dirt, food stains, and more can be taken care of by us faster and easier than anyone most. Just because you’re in a commercial space doesn’t mean you should have to pay more for quality. We never charge more than we have to. We’re used to charging affordable rates for our residential customers, and we never want to take advantage of you. We know your office or commercial space is your home away from home. Because of that, we offer the same great carpet cleaning and stain removing services you’ll get if you have us clean your house. You shouldn’t have to compromise on quality, and neither should we. 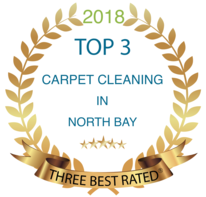 For the very best carpet cleaning in North Bay, Ontario, you need Carpet Cleaning North Bay. We have free estimates available so you can call us with confidence. No matter what your commercial carpet cleaning needs are, we are here for you.